The ‘KinetAsyst’ system is a fully integrated, computer-controlled instrument featuring the latest version of Kinetic Studio for Windows 7 and Windows 10. Available for single and double (sequential) mixing modes of operation. Just a glance at the capabilities of the system will indicate how the instrument can bring high quality scientific results to the newcomer and experienced kineticist alike. It combines efficient and reliable sample handling with high performance optical and electronic systems – all controlled and managed by Kinetic Studio, with its feature rich but clutter free interface . 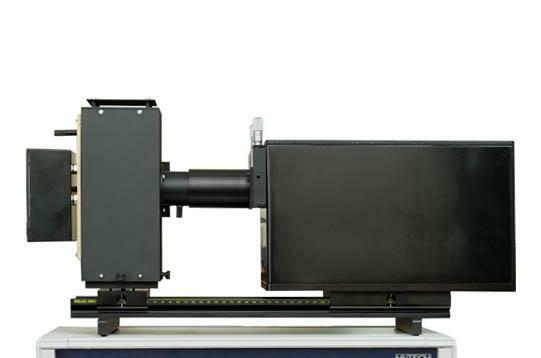 Versatile Detection Options – The system features a high performance optical system that combines low stray light with high throughput. A modular approach allows selection of the appropriate light sources and detectors according to the work being done. Multi-wavelength absorbance analysis from a single shot using the KinetaScan CCD detector can be especially useful for small quantities of samples. 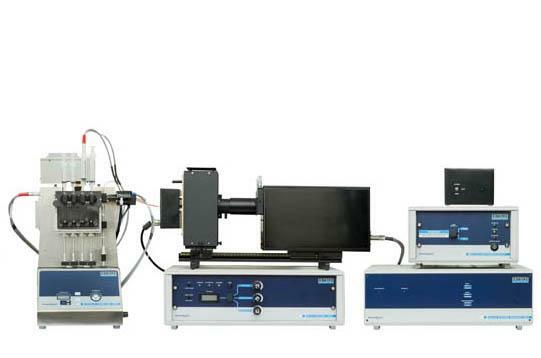 Fluorescence polarisation and anisotropy measurements are fully software controlled, whilst conductivity allows the study of fast conductimetric reactions. Stability, Sensitivity And Flexibility – Reference channel optics offer outstanding stability and immunity from interference to allow even smaller signal changes to be followed and over extended time scales without the effects of drift. Ease of use and intuitive operation are the product of Kinetic Studio, our Windows-based software. This features easy to follow set up routines and auto calibration. Operation over a wide temperature range is enhanced by the use of the low temperature option, allowing work down to -90°C. Or down to -20°C by using the innovative T-Pod option. 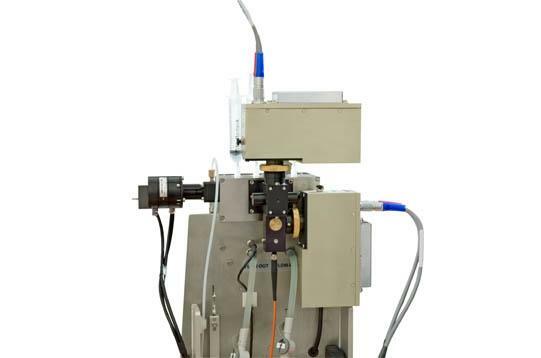 Innovative Design – The unique flow circuit design ensures that the minimal amount of solution is used for each experiment. This is particularly important if you are using volume limiting samples (e.g. mutant enzymes or other proteins) or equally novel materials. 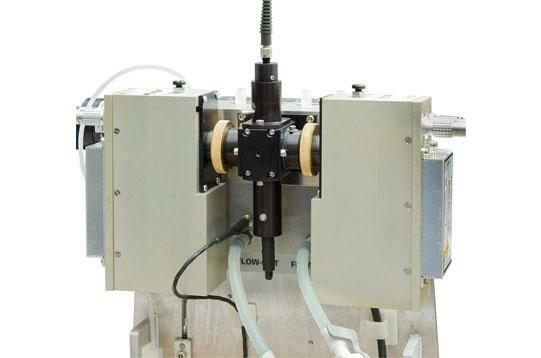 A robust ceramic stop/waste valve gives extended life. All components have been carefully selected for compatibility and reliability. 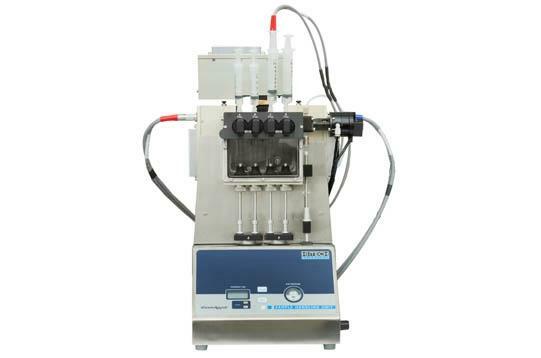 The robust nature and careful design of the flow circuit has led to it being an instrument of choice for users wishing to carry out their experiments under anaerobic conditions – the containment of reagents under low oxygen (anaerobic) conditions is noteworthy. For some users, the choice is to use a glove box – we have expertise in adapting instruments for use in glove boxes. 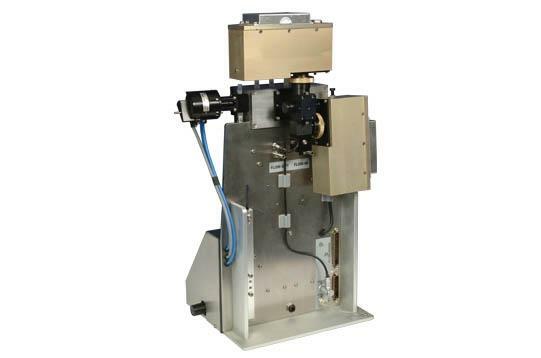 Programmable Multi-Shot Capability – Bringing added versatility for multi-wavelength analysis for both absorbance and fluorescence, even into the deep UV part of the spectrum. The KinetAsyst system is fully programmable for number of shots and wavelength, with the SF-61DX2 instrument adding age time to the list of user-controlled variables. Kinetic Studio Speeds Data Processing – Its modern Windows interface allows Kinetic Studio to provide a host of data handling and visualisation facilities. An easy export utility brings compatibility with other data processing packages such as ReactLab, SPECFIT/32, ORIGIN, KaleidaGraph and THE SCIENTIST. Fili, N., Mashanov, G.I., Toseland, C.P., Batters, C., Wallace, M.I., Yeeles, J.T.P., Dillingham, M.S., Webb, M.R. and Molloy, J.E. (2010) Visualizing helicases unwinding DNA at the single molecule level. Nucleic Acids Research, 38, no. 13, pp. 4448-4457. Lallemand, P,. Leban, N., Kunzelman, S., Chaloin, L. Serpersu, E.H., Webb, M.R., Barman, T. and Lionne, C. (2012) Transient kinetics of aminoglycoside hosphotransferase(3′)-IIIa reveals a potential drug target in the antibiotic resistance mechanism. FEBS Letters, 586(23), pp. 4223-4227. Knaus, T., Eger, E. Koop,J., Stipsits, S., Kinsland, C., Ealick, S.E., Macheroux, P. (2012) An unusual flavin-binding site in a putative protease from bacteroides thetaiotaomicron. J. of Biological Chemistry, 287, pp. 27490-27498. Rodriguez, H. et al (2012) Activation of fast skeletal muscle troponin as a potential therapeutic approach for treating neuromuscular diseases. Nature Medicine, 18(3), pp. 452-455. Heissler, S.M. and Manstein, D.J. (2012) Functional characterization of the human myosin-7a motor domain. Cell. Mol. Life Sci. 6, pp. 299-311. Lawrence, M.A.W., Thomas, S.E., Maragh, P.T., Dasgupta, T.P. (2011) Mechanistic studies on the intramolecular electron transfer in an adduct species of the oxo-centred trinuclear iron(III) cation andL-ascorbic acid in aqueous solution. Transition Met. Chem., 36, pp. 553-563. Nijvipakul, S., Ballou, D.P., Chaiyen, P. (2010) Reduction Kinetics of a Flavin Oxidoreductase LuxG from Photobacterium leiognathi (TH1):Half Sites Reactivity. Biochemistry, 49(43), pp. 9241-9248. Gahl, R.F., Pradeep, L., Siegel, C.R., Xu, G. and Scheraga, H.A. (2009) Effects of tyrosine mutations on the conformational and oxidative folding of ribonuclease A; A comparative study. Biochemistry, 48(18), pp. 3887-3893. ¹Biochemistry, 1989, 28, 7992, Erman et al. Identification of short-lived intermediates in Parahydroxybenzoate Hydroxylase mechanisms by stopped-flow techniques and global analysis.